There’s a time for everything, from When to announce your engagement to how soon you should freeze your cake. Here, four Pros help us lay out every step of the wedding planning process—no matter how major or minute. Read ’em, Do ’em, and Check ’em! Within a week, call up everyone in your Favorites. You’ve got news! Post that bling on social media. Before going into planning mode, treasure the stressless moment and brainstorm your vows. Once the cat’s totally out of the bag, set your budget. After you’ve run the numbers, don’t wait: Go forth and find your dream gown… and don’t forget to choose the right pair of shoes and break them in right away. Got a dear friend, pastor, rabbi, or other spiritual someone you want to officiate your wedding? Be sure to check in on their schedule before selecting a date. At least 12 months ahead of the wedding, tackle your big three: Your coordinator, your venue, and your date. Once you’ve set the date, book your photographer and entertainment ASAP. 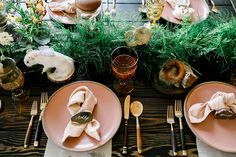 As if you hadn’t already put it together before you and your partner even met, get your Pinterest wedding board in check, especially with a desired color palette to share with your remaining vendors. Next, round up your wedding party and give them specifics on what attire to purchase (ladies first, then worry about the gents). 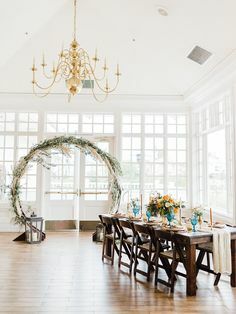 Since your venue is set, you’re all clear to book your caterer and lodging accommodations for out-of-town guests—you’ll need to put this on your invites. Wake up and smell the roses. It’s time to book your florist, ideally 12–10 months out! Next up: Book your rental company. Select your save-the-dates when you’re roughly 10 months away. Now for the fun part: Choosing (and tasting) your cake, about 10–8 months out. Say cheese! Engagement shoot time is about 9–6 months out. … finally lick, seal, and send your save-the-dates, 8 months out! Choose your hair and makeup stylist and have an initial consultation, 6 months out. Any final changes should be made 3 months out. Choose your invitation suite, thank-you cards included, when you’re about 4 months away. It varies by state, but in California, a marriage license is good for 90 days; so go on, get to the courthouse! Brace for old-school traditions and games about 3–2 months out. It’s bridal shower time. At least 2 weeks after you’ve been showered with love, send thank-yous. Mail your invites 2 months ahead. For a destination wedding, mail them 2–4 weeks earlier. Around this time, don’t forget this important purchase—wedding bands! 6 weeks away, order the rest of your wedding-day stationery: signage, menus, guestbooks, favors, etc. Gather your “I Do” crew to let loose at bachelor and bachelorette parties, at least a month ahead of the big day for plenty of time for recovery. 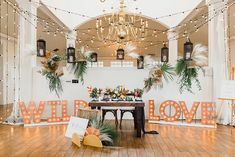 You should have all of the RSVPs received 4–3 weeks out, which means your guest list is set and it’s time to give the final head count to your vendors. Your DJ’s calling 4–2 weeks ahead… they need your playlist. To give your skin time to bounce back from irritations, get your last facial 3 weeks ahead. Time to be cautious about your pampering. Consider getting your last massage no later than 2 weeks out to avoid any bruising. Consider 2–1 weeks away your final call for a haircut and color. Your final dress tailoring should be 7–14 days from the wedding. Get your nails did the week of, so the polish looks as fresh as can be. Wash your locks at least a day before. 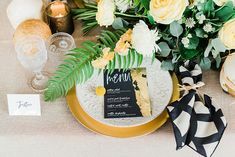 The night before the big day, your rehearsal dinner is the perfect time to present your wedding party with thank-you gifts for supporting you during the planning frenzy. For the best day ever. You’re, like, really pretty. But do your skin a favor and remove your makeup and bobby pins before bed, newlywed. A day after the wedding, freeze the top tier of your cake. After you’re hitched, jet set or ride out on your honeymoon when it’s right for you. No later than 3 months after wedding, mail out heartfelt thank-you notes to everyone who came to celebrate you. The day before your one-year anniversary, take that cake out to defrost. 365 days after the wedding, finish your cake (and maybe drink some bubbly, too). One-year anniversary? Check!